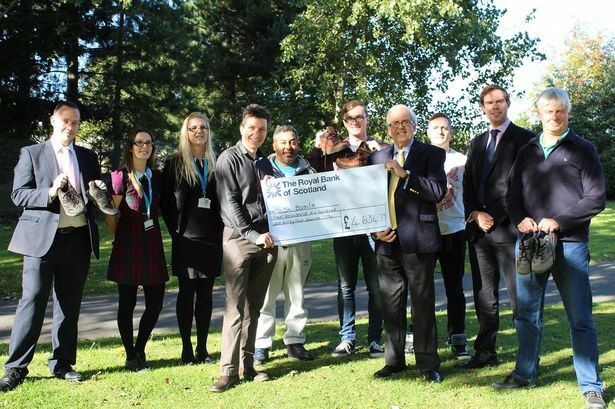 BHSF, the Birmingham-based healthcare insurer and employee benefits provider, has raised £4,635 for St Basils, a charity which supports young homeless people in the West Midlands. Two teams from BHSF dug out their walking boots and took to the hills of Staffordshire this year, for the St Basils Walk Challenge for the 11th year. Peter Maskell, group chief executive of BHSF, said: “St Basils does tremendous work for young people who would otherwise be sleeping rough, having found themselves homeless. The charity initiative, which takes place annually, saw the teams walk 26 miles across The Roaches, near Leek in Staffordshire, a location known for its unusual rock formations and impressive views. In total 103 teams and almost 600 supporters took part in the sponsored challenge on 6 June 2015.